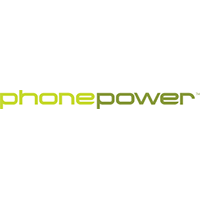 ● Phone Power always provides discounts and promotions to its customers from time to time. These offers usually range from marked down rates to free service and much more. ● Every phone plan offers free 60 minutes international calling on selected countries every month. ● Refer a friend to Phone Power and both of you will receive a $10.00 credit. In addition, you can also take advantage of unlimited all in-network calls for free. To enjoy all these, just have your friend sign-up in the site then enter your user name into the promotion code area. Business owners, entrepreneurs, and regular folks are all going to have the opportunity to take advantage of inexpensive global calling plans by taking advantage of the services offered by Phone Power. A VoIP communication service, customers of this company are going to be able to make unlimited calls to more than 75 countries all over the world, all at a flat fee as opposed to paying per minute depending upon the location that you are calling. On top of that, visitors have the chance to order call forwarding services, call rerouting services, and a host of enterprise solutions specifically for businesses and larger organizations. For most up to date offers check out Phone Power on Facebook and Twitter or contact Phone Power Support for any questions.